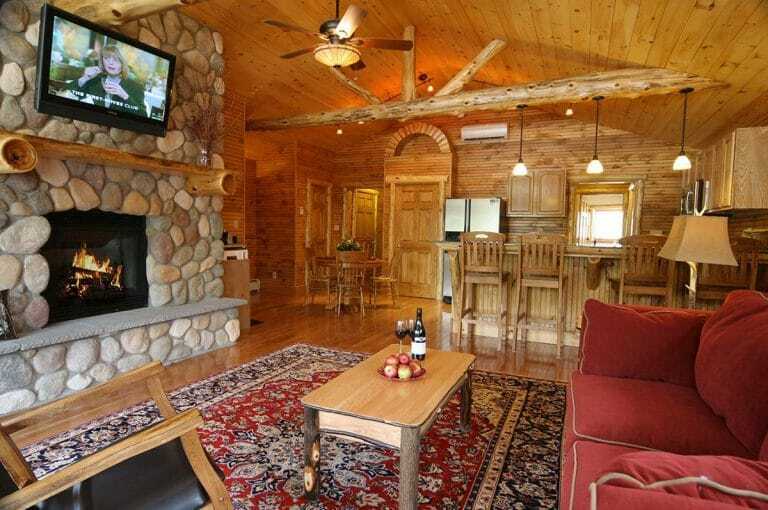 Adirondack Motel Lodging & Accommodations: Plan Your Stay at our Adirondack Lodge! 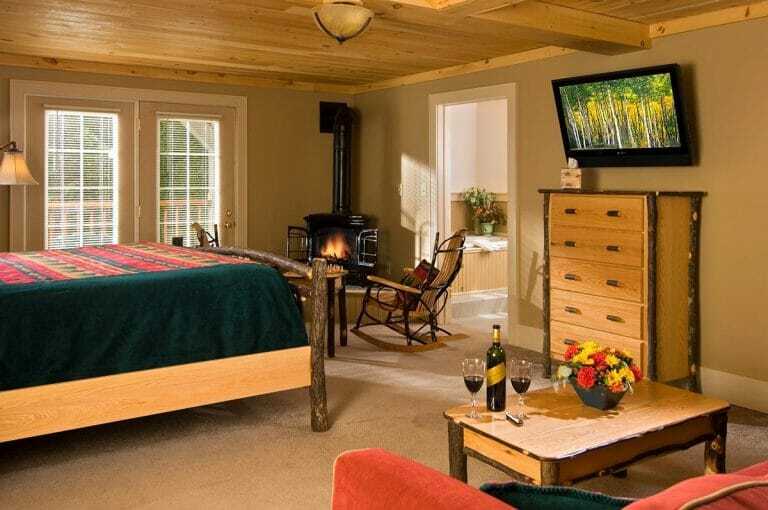 Adirondack motel lodging accommodations are located in the heart of the Adirondack Park . Adventure seekers, families and corporate groups return to this region year after year to enjoy the breathtaking beauty of this Upstate NY region. Planning an Adirondack wedding? 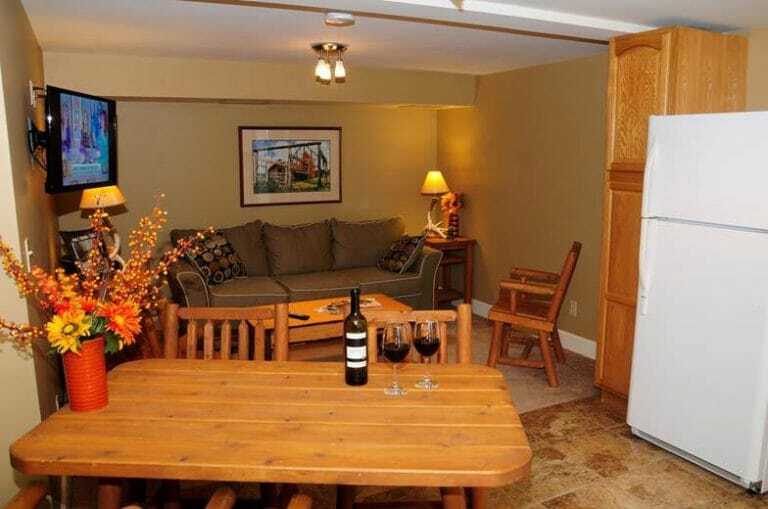 Accommodations at the Alpine Lodge motel are the perfect lodging solution for family, friends, and the wedding party! 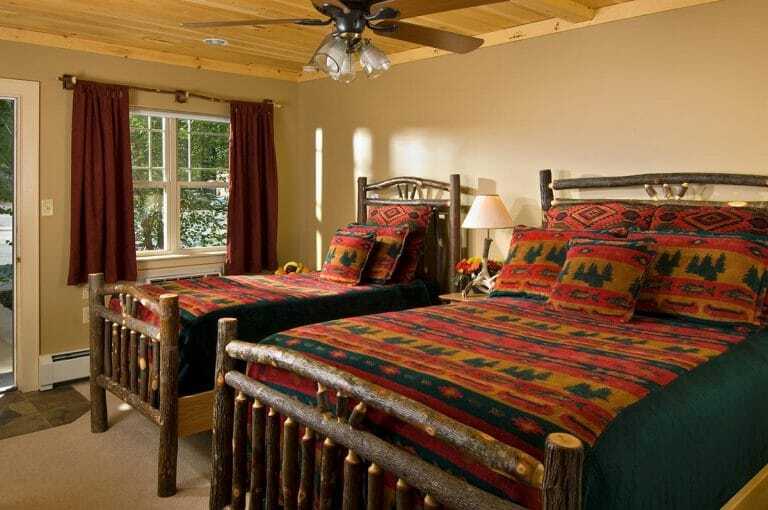 A cozy room decorated with Adirondack flair featuring a king size bed, small sitting space, tv and refrigerator, free WiFi and its own private bath with walk in shower. 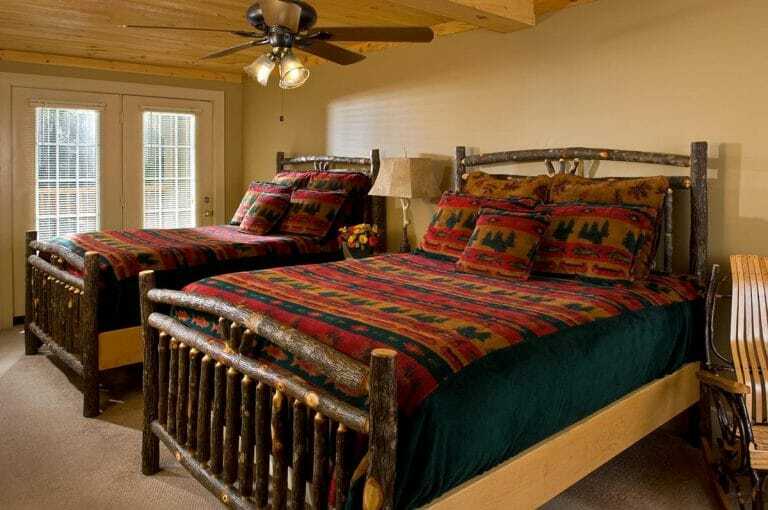 A cozy lodge room with a double and twin bed, tv/dvd player, free Wi=Fi and its own private bath with shower. A magnificent queen and a double bed are the focal point of this large Adirondack room, comfortably accommodates 4 persons. Our most luxurious room with king-size bed, fireplace and jaccuzzi. A removeable platform bed offers extra sleeping. Perfect for honeymoons, anniversaries, special occasions or no occasion at all! A very luxurious 2-bedroom second floor apartment in the quaint mountain village of North Creek. 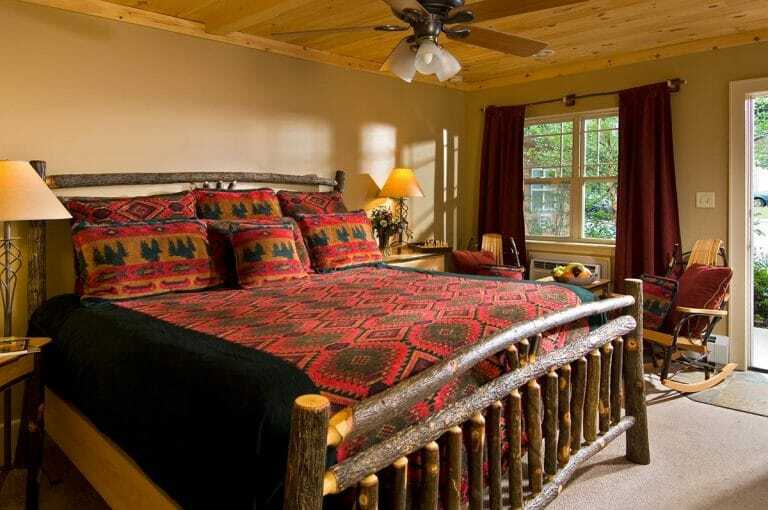 Two bedroom apartment with a king-size bed in the master bedroom and two twin beds in the second bedroom. Includes a fully equipped efficiency kitchen and living room area (with a double sized convertible couch) in the quaint mountain village of North Creek. 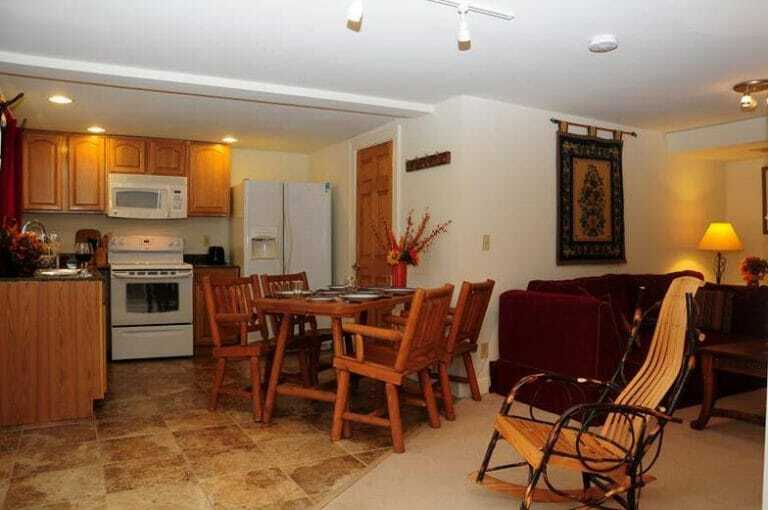 One bedroom apartment with a king-size bed, a fully equipped efficiency kitchen and living room area, WiFi and Television in the quaint mountain village of North Creek.